It's with great pleasure to bring you the news of our first ever Tekken signing; KNX. The player himself was previously known to the club through our exploits within the Street Fighter sphere, with KNX encountering our players during tournaments. Whilst impressing us in that game he did, neither circumstances nor opportunity aligned. However, with the club management keen to move into new territory, Tekken 7 quickly became the game on everyone's lips. Fast and frantic gameplay with a strong core following in Rize's birth city of Manchester it became apparent that it was to be the next chapter in our FGC journey. Scouting players for the game since release KNX was one player shortlisted by our management team and it made perfect sense to approach shortly afterwards. 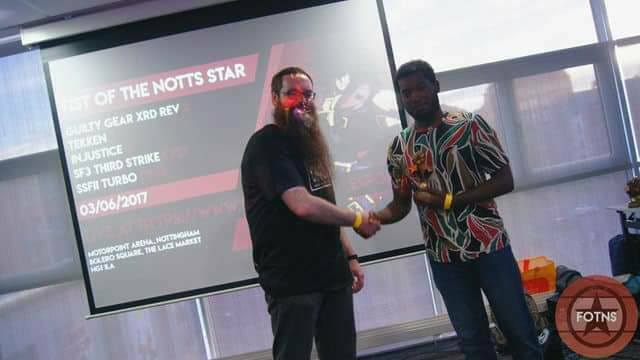 KNX boasts an impressive early Tekken 7 resumé, picking up 1st place at the Fist of the Notts Star and Qualifying for the Tekken World Tour UK Finals Top 16. We are quietly confident KNX will be a name to remember by the time VSFighting 2017 (TWT Master Event) comes to an end. As recognition to eDojo - the learning ground of Birmingham FGC players, for the VSFighting 2017 event, KNX will be sporting the eDojo t-shirt along with a Rize snapback. We hope this will emphasise the importance of local establishments supporting their players and providing an environment in which to learn, improve and thrive.